Beach house? Condo? Cabin? Your perfect vacation awaits. 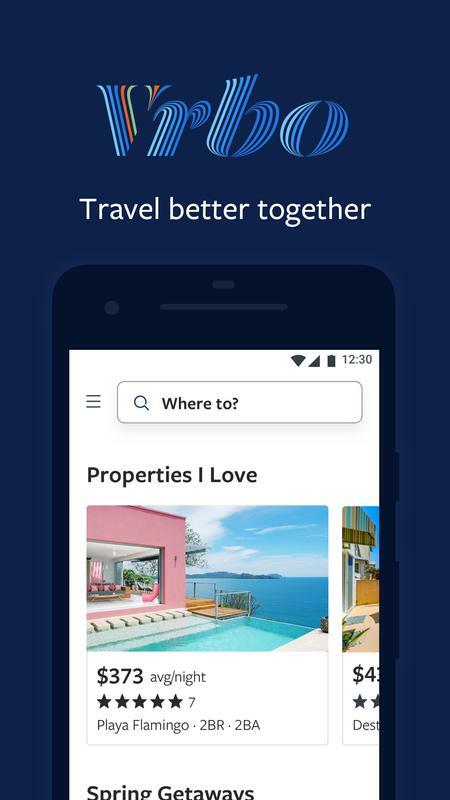 Travel better together with Vrbo. 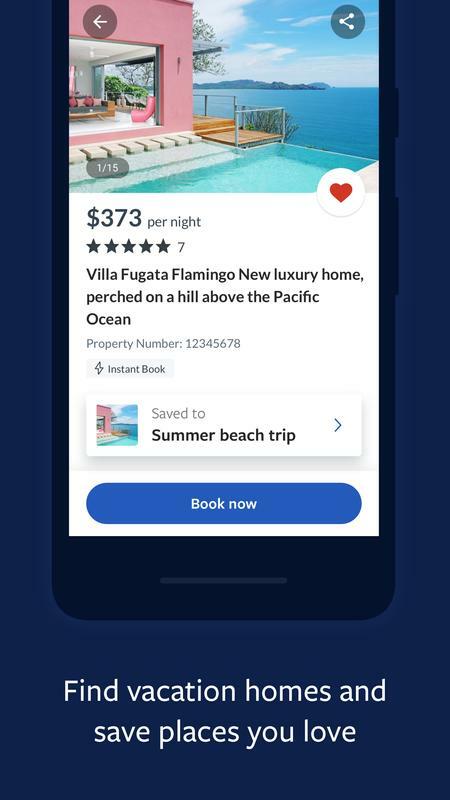 Vrbo has a fresh new look, but our commitment remains the same: helping family and friends travel better together. Search over 2 million unique places to stay in 190+ countries. •	Browse vacation homes with pools, backyards, and all the room you need. •	Find some vacation homes you won’t find on many other travel sites. 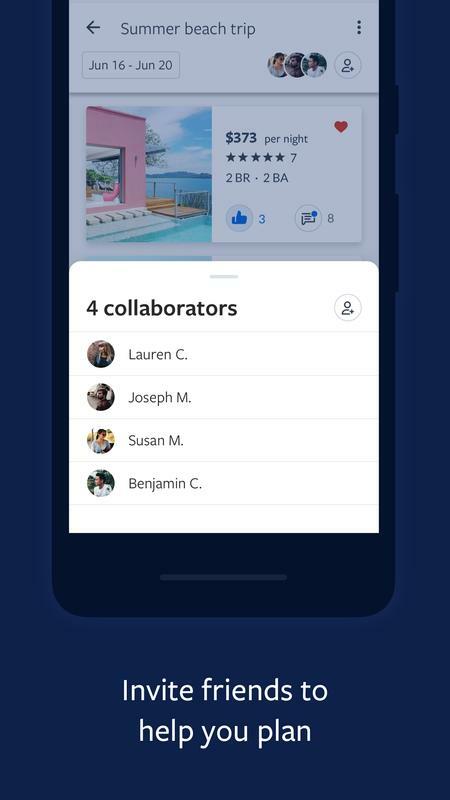 •	Filter by what’s important to you and your group: price, location, amenities, and more. •	See property photos and reviews at a glance. •	Have questions about a property? Get quick answers from our virtual assistant. Find a place everyone loves using Trip Boards. •	Tap the heart to easily save and compare places you love. •	Invite friends to join your board and help you plan. •	Comment and vote on your favorite places. •	Have questions? Message the owner or manager to ask about the property. 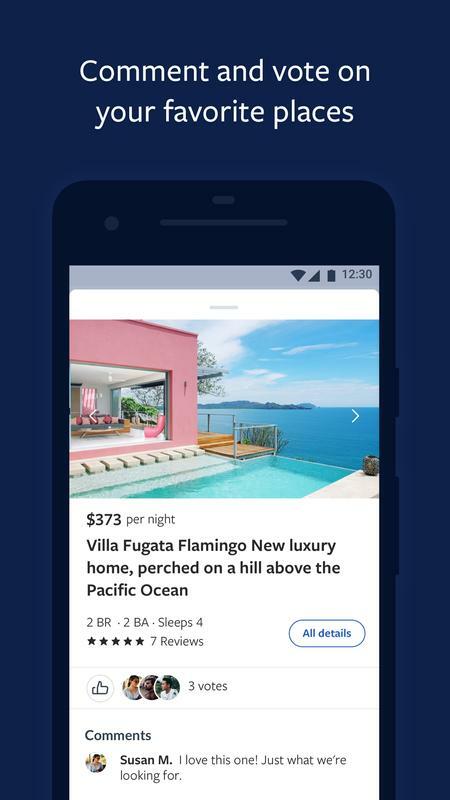 •	Book and pay securely on the Vrbo app with your credit card. It’s easy and fast. 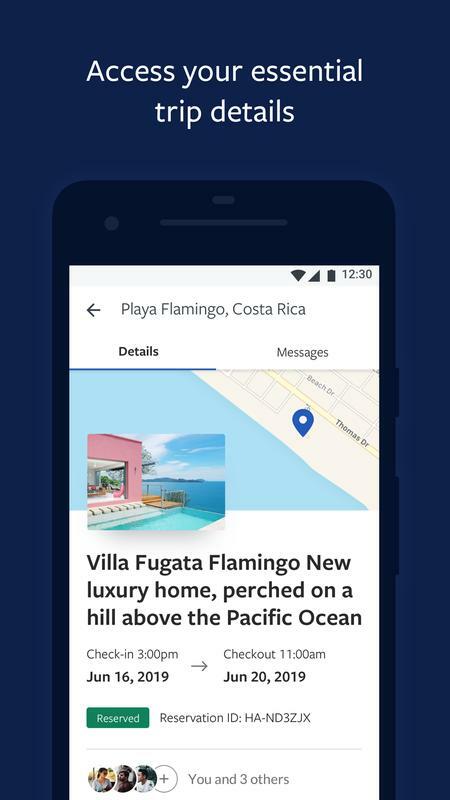 •	Quickly access important booking details like check-in instructions, WiFi passwords, and arrival information — even when you’re offline. 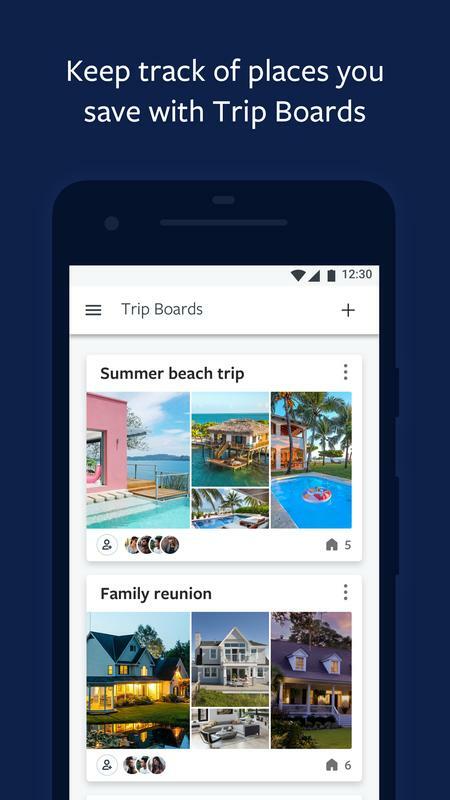 •	Share important trip details with friends and family by adding them to your trip. 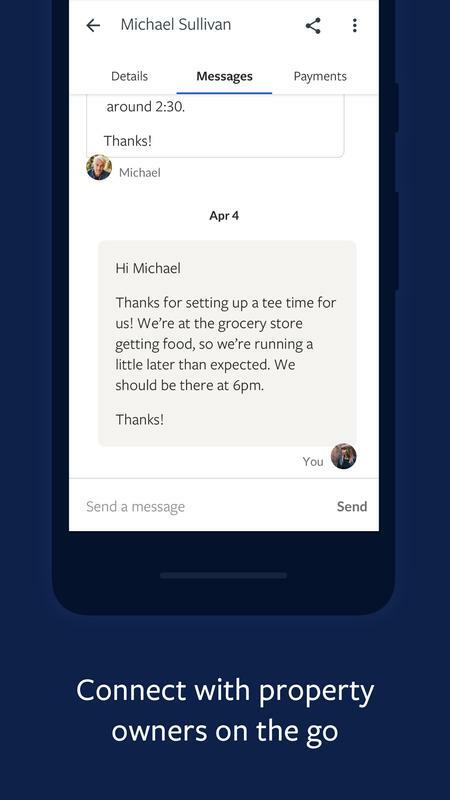 •	Access your conversations and message homeowners from your inbox anytime. We’ve updated the Vrbo brand. Check out our fresh new look in the app. Now it’s easier than ever for you and your group to plan your trip together with Trip Boards. Invite friends to join your board, then vote and comment on your favorite places.